Between 2010 and 2013 we developed a cloud inpatient Electronic Health Record (EHR) system called MedClient and implemented it in the Verdugo Hills Hospital. Besides Verdugo Hills, we implemented the same EHR in two more hospitals: Good Samaritan Hospital in Bakersfield and a small hospital which now is a part of Tahoe Forest Health System. Verdugo Hills Hospital (VHH) is a mid-size acute-care community hospital with Emergency Room (14 beds) and Inpatient Departments (158 beds). VHH runs its own Laboratory, Diagnostic Imaging, and Pharmacy. The hospital didn’t have an EHR system, and 90 percent of clinical processes used paper. The VHH IT consisted of the old information system for patients registration and billing developed by Siemens that was run on the archaic IBM AS/400 computers, Laboratory Information System (LIS) of the dated Meditech version, and Radiology Information System (RIS) from GE. In 2011 Centers for Medicare & Medicaid Services (CMS) established incentive programs to encourage clinicians and eligible hospitals to adopt, implement, and demonstrate meaningful use of Certified EHR technology. The eligible hospitals could receive from 2 to 10 million dollars to cover the implementation of the EHR systems. to develop and implement an inpatient EHR system that would digitize hospital workflows while providing clinicians with modern & convenient web interfaces, decrease or eliminate paper charting, and aggregate data from ancillary systems in the hospital. to certify this EHR system with ONC to allow the hospital to demonstrate meaningful use and receive incentive payments from the CMS. 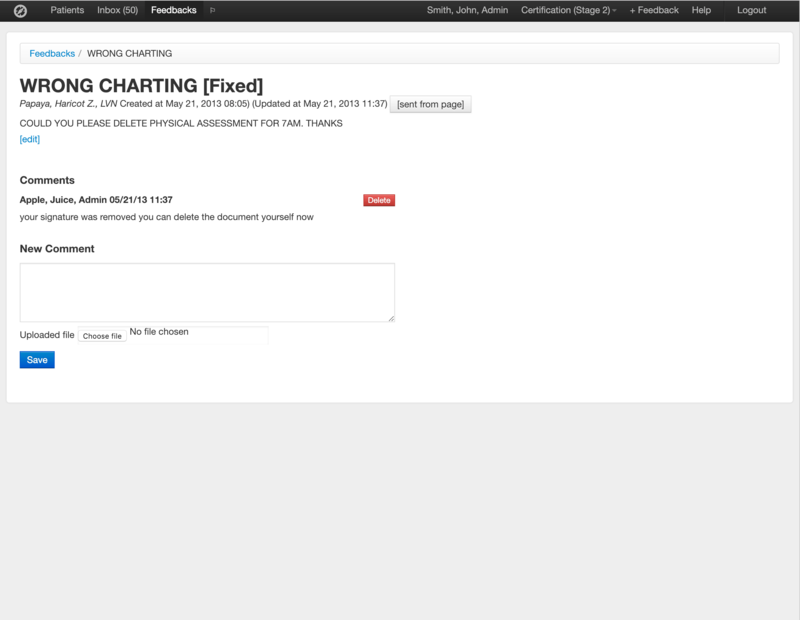 We developed and implemented an integrated Medical Chart. 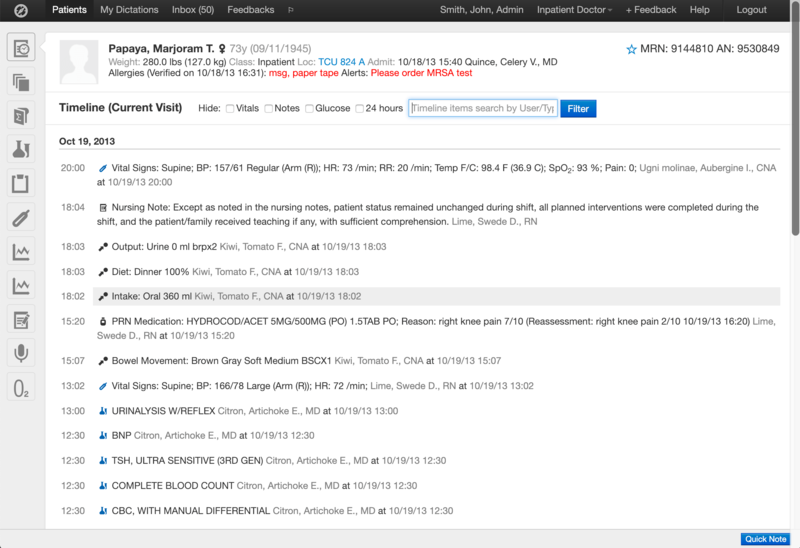 MedClient EHR integrated AS/400 registration, Meditech LIS and GE RIS with the use of HL7 v2. 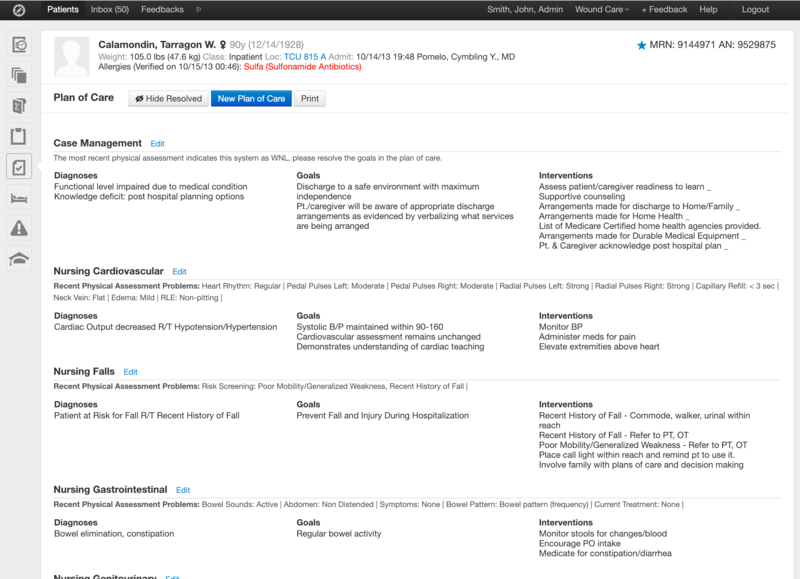 Physicians and nurses received modern web interfaces for viewing all patient clinical data in one place. Besides this, they received tools for documentation of their activities such as notes, assessments, and care plans. We fully automated all the processes in the hospital Emergency Room (ER) and key processes in the hospital Inpatient Departments. 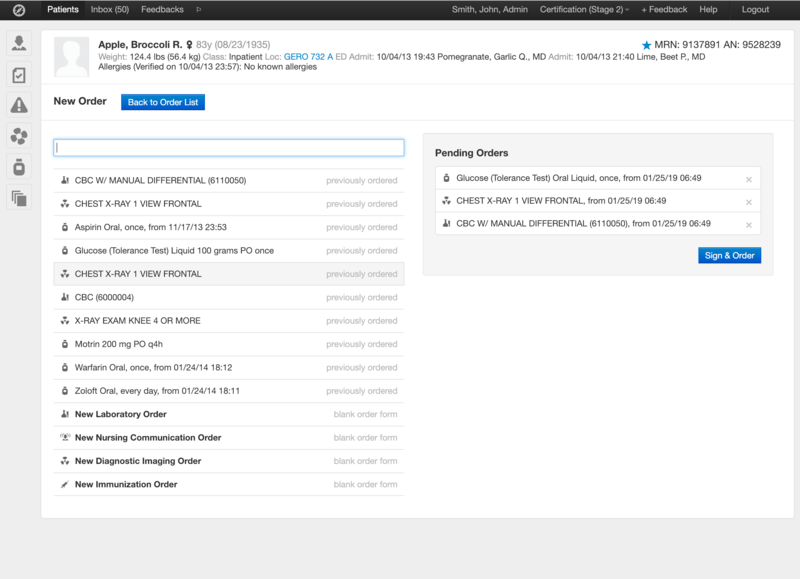 Besides viewing patients charts, physicians created their notes and utilized Computerized Provider Order Entry (CPOE) for placing their orders. Physicians utilized charting technics of their preference: some of them typed, others dictated, or used medical scribes. Nurses documented care they were performing, vital signs and different assessments. 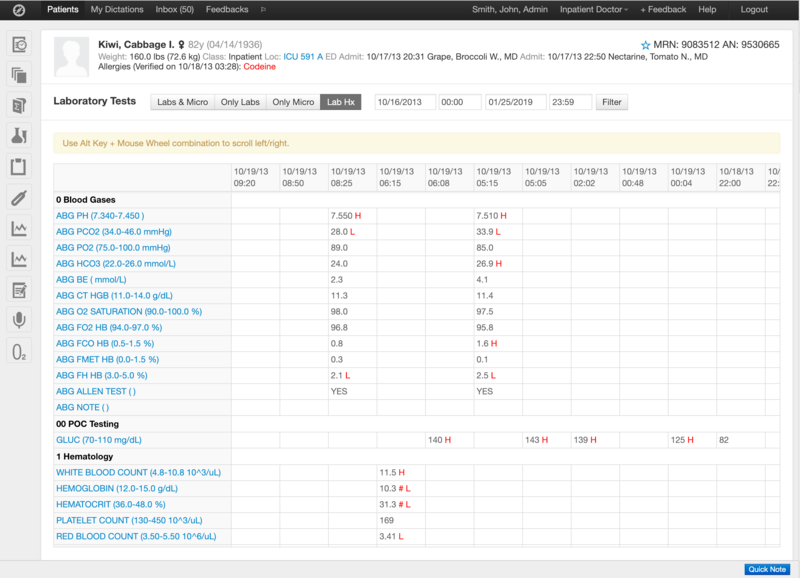 Nurses also were receiving and performing physician orders via EHR system. Both physicians and nurses participated in the automated patient discharge workflow. 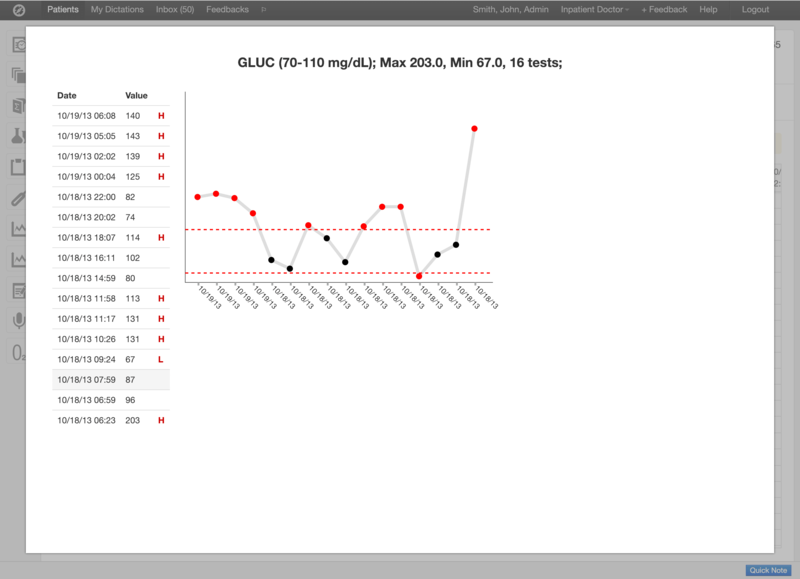 Additionally, we developed a Digital Status Board for the nursing station in the Emergency Department. The Status Board was showing real-time information about patients in the ER: their triage levels and for how long they've been waiting for, chief complaints, active orders, and their statuses. After Emergency & common Inpatient workflows we developed several specialized tools for GeroPsych, Wound Care, Labor & Delivery (L&D), Dietitians, Case Managers, and Health Information Management (HIM) Departments. We developed a pharmacy module. MedClient pharmacy allowed pharmacists to manage medication ordering, dispense, and billing. Hospital had operating and physical therapy rooms. 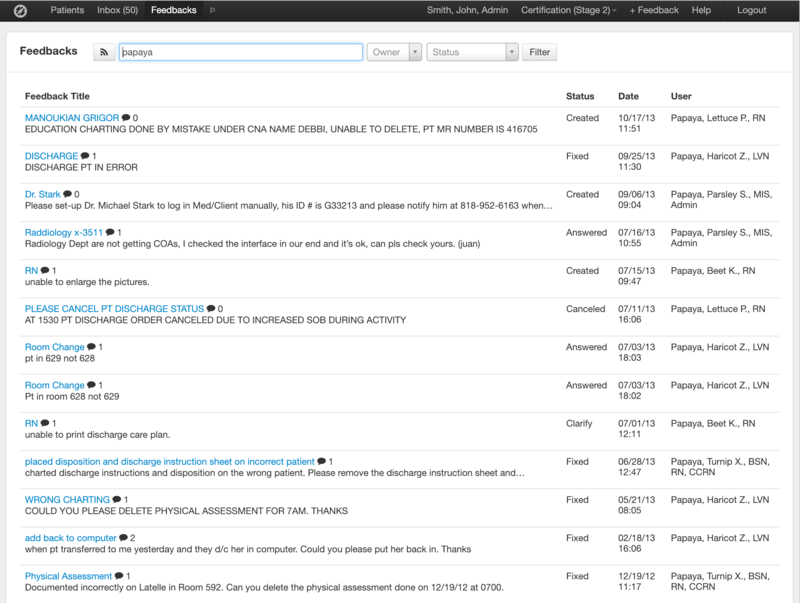 We developed a scheduling system for Operation Rooms and physical therapists. 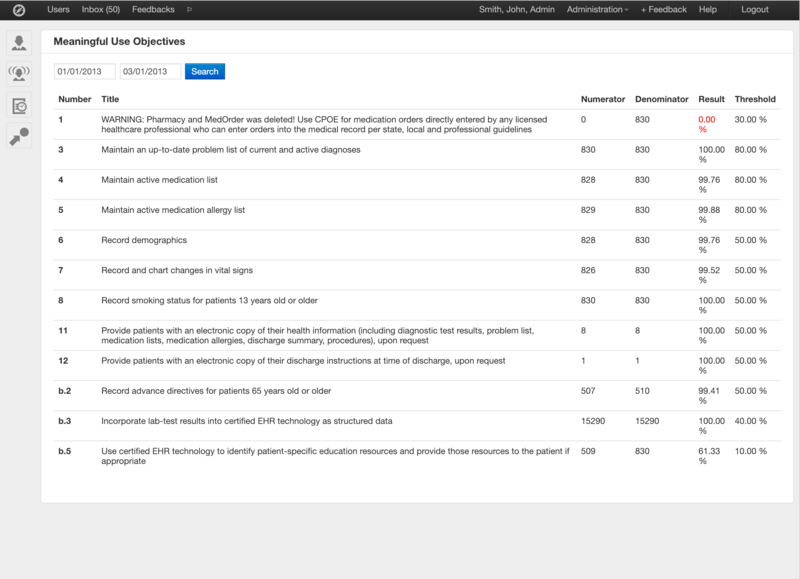 We developed MedClient EHR following all the requirements of the ONC certification. EHR system tracked all the data needed for quality measures reporting. We certified MedClient for all ONC criteria in 2011, but it was the intuitive interface which allowed hospitals to reach thresholds of meaningful use required by the CMS. VHH has received Meaningful Use incentive payments shortly after the system was certified. 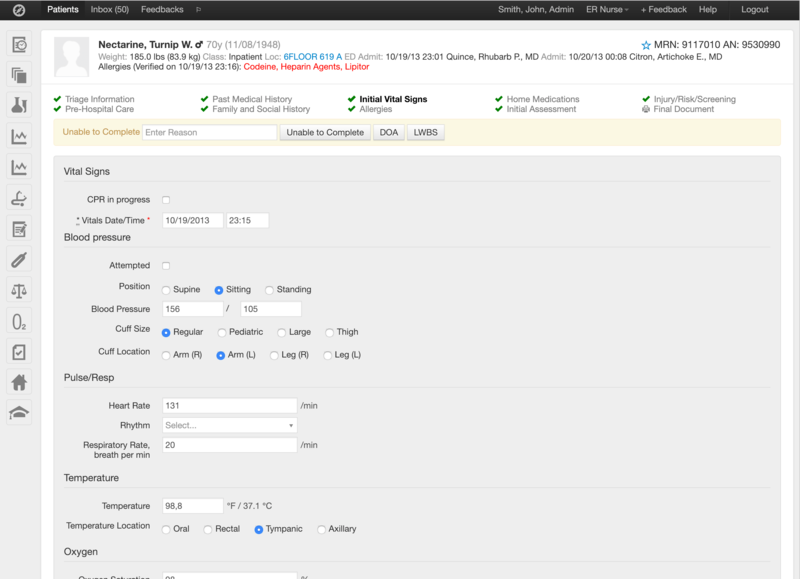 To succeed in this project, we applied an agile methodology to the EHR development. Whenever we implemented new functionality, we formed a multidisciplinary team of clinicians and engineers working together. 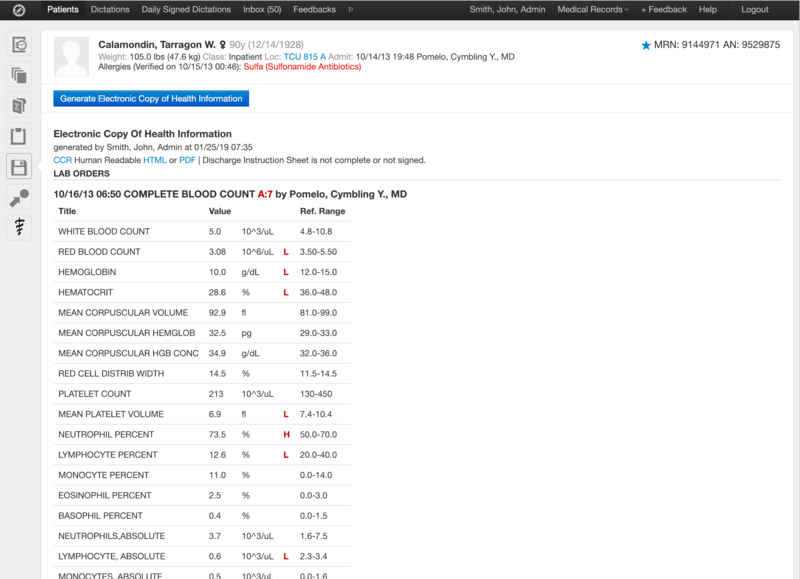 We set up a staging area that was continuously updated and allowed clinicians to try new features that were coming with the next update. The updates were scheduled weekly and never caused staff confusion and frustration because of their regularity. Clinicians had a "Feedback" button that provided them with a direct communication channel to the engineering team. 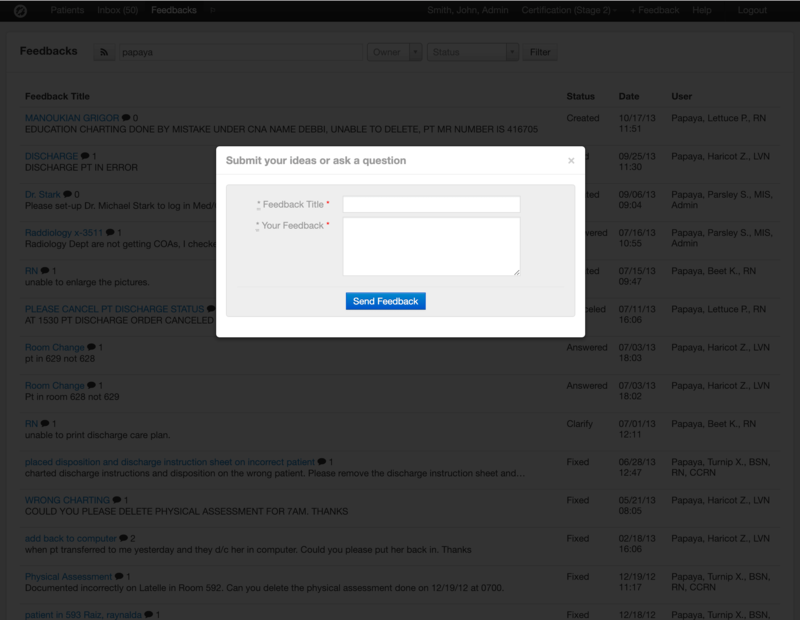 All the above allowed us to learn quickly and deliver what our users wanted. 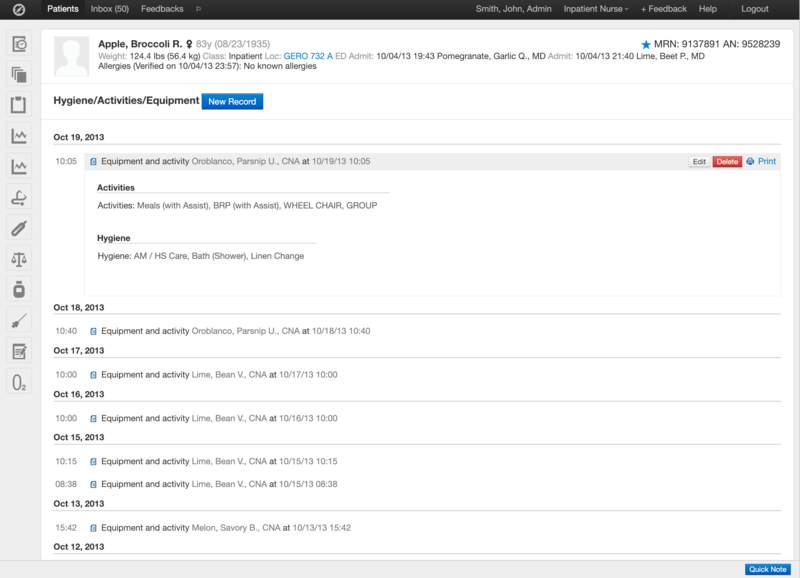 Shortly after the certification, we started implementation of the same EHR in a second hospital. 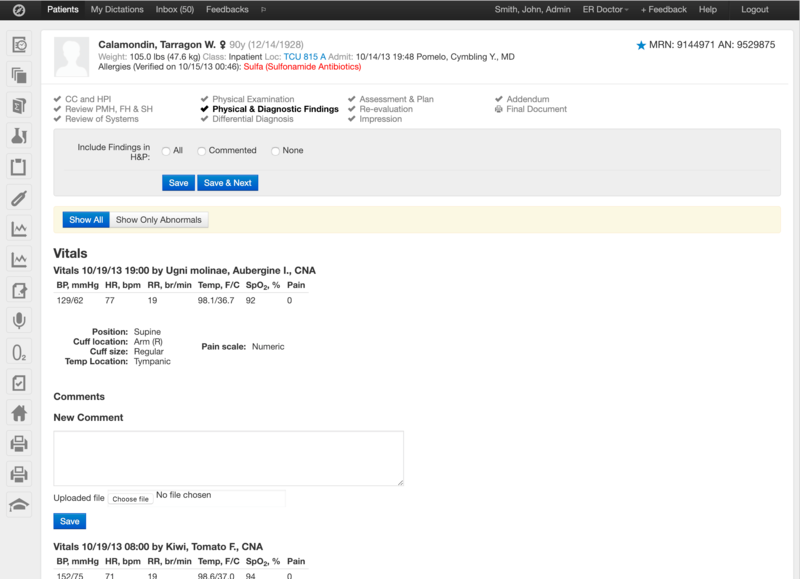 Flexible HL7 module developed for Verdugo allowed us to connect all Good Samaritan ancillary systems to the EHR in two weeks. Good Samaritan hospital was a bit smaller than Verdugo and workflows we designed for Verdugo clinicians worked well for clinicians of the Good Samaritan. 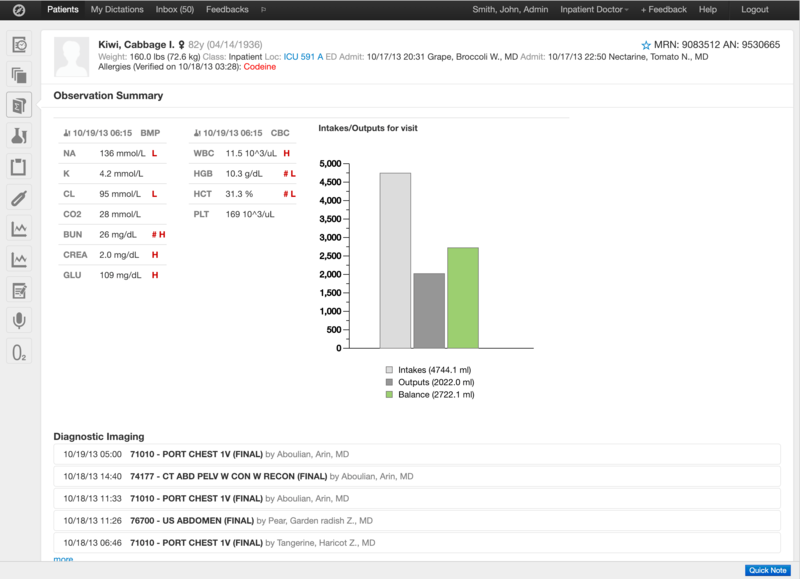 Also, intuitive, modern UI that is unusual for healthcare allowed us to bring Good Samaritan's physicians and nurses online quickly. They reached the meaningful use thresholds in thirty days, and Good Samaritan hospital also received CMS incentive payments.